Tata Sumo Grande is a car designed for people like me for whom size matters a lot and who like to carry world with them whenever they are out. I am passionate about SUV’s since childhood and that strong craving keep on increasing with time and today I have 6 SUV’s under my garage and all of them are very close to my heart and I love them like my own child. Tata Sumo Grande is my latest addition and its size, exteriors, side lines, amply spacious interiors, nice powerful engine and agile pickup all excited me a lot and I added it to my crew. I use Sumo on long trips. I am very fond of driving and prefer to drive myself. Sumo makes me feel like a superman whenever I touch the steering a sudden strong wave of current passes through my hands and it excites me to go wild and even our rough filthy roads are not able to stop me. Exteriors are very beautifully designed and it looks nothing short of an elephant. Tyres are broad and biggest in its category. Suspension is good for the front and middle row but proved ineffective for the third row but I use it for luggage and never faced inconvenience. 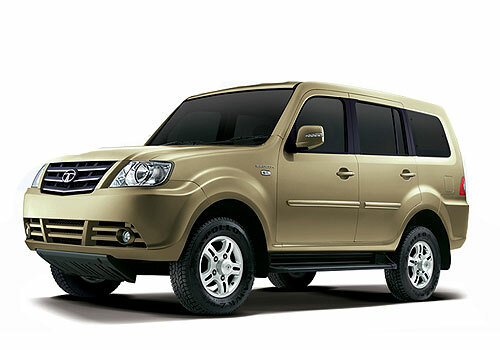 Interiors are amply spacious and 8 people can easily accommodate and enjoy the ride at best. Separate a/c vents for all the three rows and very soft silky seats increases the comfort level. Dashboard is equipped with all the latest features and some of them are unique of its own. Overall it’s a well designed marvelous piece of engineering build by the pioneer heavy vehicle manufacturer who understands the needs and desires of their people well. This car gives good performance..